A student who graduates from an accredited law school and eventually is admitted by the Florida Bar is allowed to handle over 99% of criminal cases prosecuted in the State of Florida. It does NOT mean that he or she should. 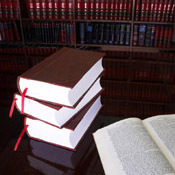 Similar to the medical profession, attorneys “specialize” in certain areas of practice. Your family practitioner has the sense to make a referral to another doctor who is an expert in the required area of medicine. A professional who knows a little about everything is considered a jack of all trades, master of none. Your attorney of choice for a criminal matter should also be a state recognized specialist. Attorneys who are formally recognized by the Florida Bar receive a title indicating that they are “Board Certified” in their particular area of practice. 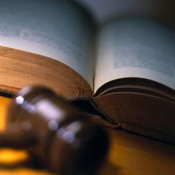 In order to become Board Certified Criminal Trial Law Attorney, the lawyer has to have handled numerous jury trials, demonstrated writing skills, pass a written examination on Florida and Federal criminal law, and a review by his/her peers including judicial review. Less than 1% of all attorneys admitted to practice in Florida are Board Certified Criminal Trial Law attorneys. A criminal case can be an overwhelming experience for the accused. Sometimes the matter is pursued by a vindictive individual, or an inexperienced or overzealous law enforcement officer. Promotions for individuals and grant money for agencies can be tied to arrests and convictions. Unfortunately these goals can replace the pursuit of justice at the expense of the accused. Sometimes evidence, including potential witnesses are ignored or discredited by law enforcement because they do not support the conclusion that the individual is guilty. An experienced criminal trial law attorney will determine whether or not the State can prove its case beyond and to the exclusion of a reasonable doubt regardless of whether the client is guilty or not. Cognizant of the fact that the burden of proof in a criminal trial is greater than any other area of law. Our firm handles each case as if it is going to a trial. The reasoning behind our approach is twofold. First, we pride ourselves on thorough and personal representation. This allows us to attack unfounded conclusions or opinions of law enforcement and evidence that may be illegally obtained or scientifically unreliable. By excluding evidence and or statements the State’s case is ultimately weaker than what the arresting officer made it out to be. Second, if the prosecutor gets the impression that a defendant is not interested in exercising his/her Constitutional right to a speedy trial they may have less incentive in making an offer that is reasonable. Moreover, the prosecutor is well aware of which attorneys actually go to trial and which attorneys routinely plea cases. At the Law Office of Conan and Herman, P.A., we treat each and every one of our cases with the respect and dedication it deserves. As a former prosecutor and former public defender, we understand what it means to be on both sides of the law. For your free consultation, contact our office for any case in Orange County, Lake County, Osceola County, Seminole County, Polk County, Volusia County, Brevard County, Marion County, Sumter County or any of the surrounding counties in Central Florida today.